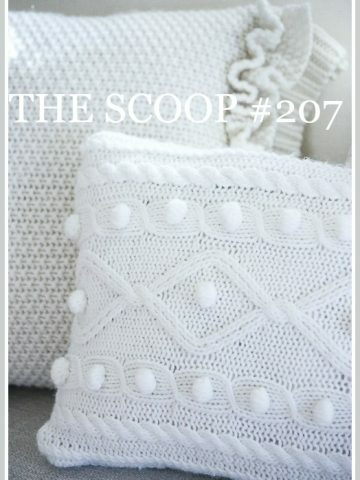 Hi Friends, welcome back to THE SCOOP! This is the most inspiring day of the week! I can’t wait to peruse and take in all the creative recipes, home decor ideas, home diy’s, projects, and more! This is the day I blow up my Pinterest site! 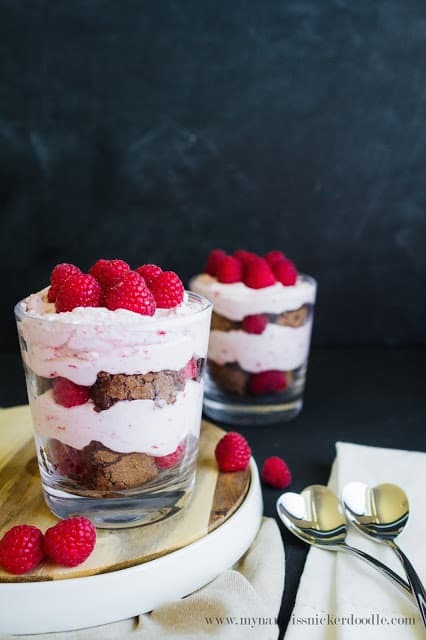 Why don’t you give a little Pinterest love to the fabulous bloggers you visit from THE SCOOP? 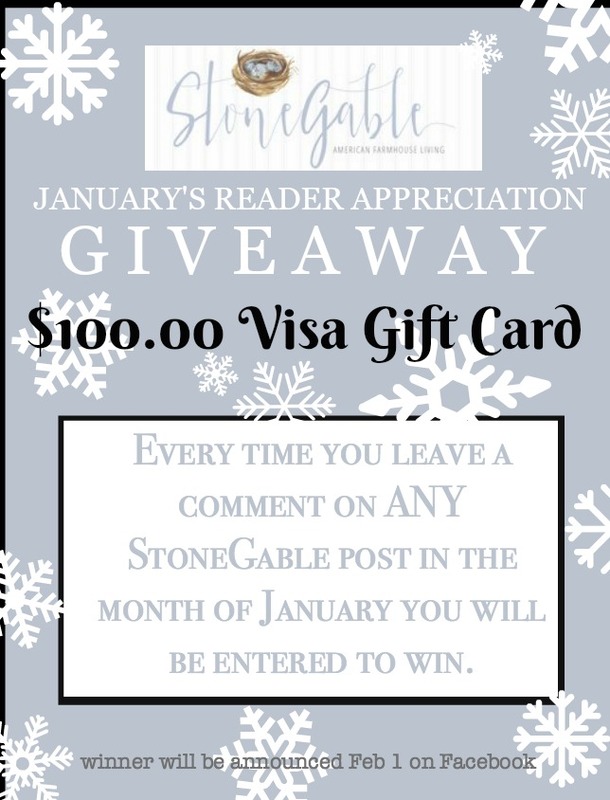 Remember to comment so you will be entered to win StoneGable’s Reader Appreciation Giveaway! This week it’s my turn to host! I’m Suzy from Worthing Court. 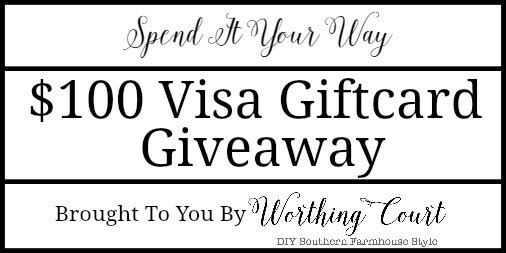 Before we get on with the party, let me remind you about my January Reader Appreciation giveaway that’s going on right now for a $100 Visa gift card! Entry is easy! 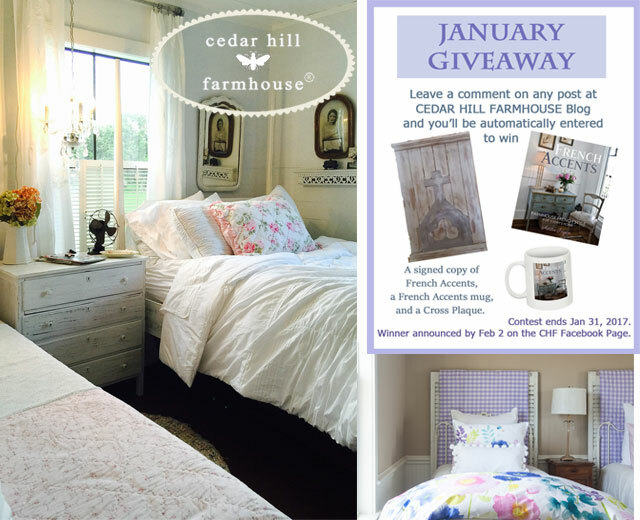 Simply leave a comment on ANY Worthing Court blog post to automatically be entered. More comments = more entries! Click HERE for details. 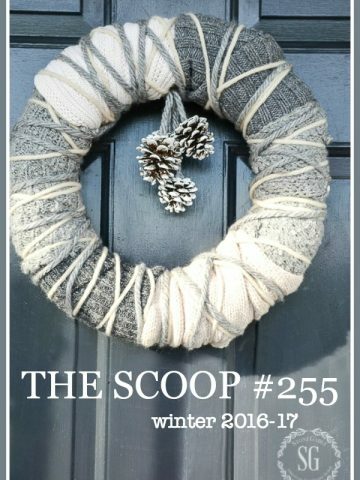 I have lots of inspiring winter themed posts to share with you this month. Among other things, I’ll be sharing a tour of our winter family room, dining room, a super easy five minute centerpiece, plus I’ll show you my breakfast area shelves in their winter glory! love the wreath Yvonne. I pinned it to hopefully make soon. Thank you so much. Hope you are feeling better. Thank you, thank you and I hope you’re feeling great! Good inspirational ideas for the winter months…thanks! Praying for your recovery. Thanks for such a nice posting with so many ideas. So many wonderful ideas and inspiration. 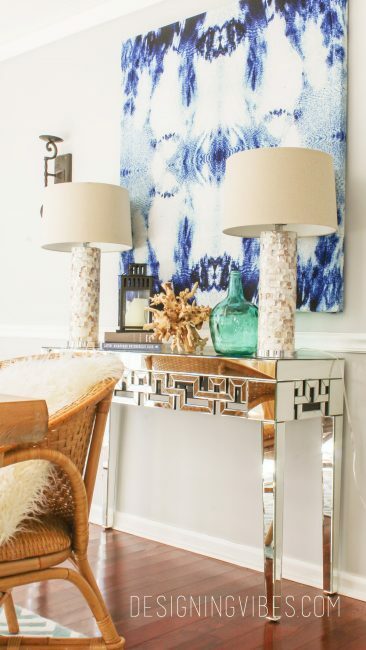 I love all the décor pieces and lovely vignettes displayed! One more thing, most importantly, it is a one day sale. 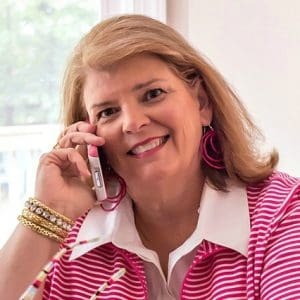 Yvonne, I wanted all the readers who loved your Bee flatware from Horchows to know that it is an additional 30 percent off of the already sale price. That is unbelievable! I bought it because I loved yours last month but today I ordered 4 more to give me a service of 12. You also get the serving pieces. Now, after my advertisement, I want you to know how much I love your wreath. Ì have already gone to the garage for my cache of yarn! I don’t know I missed your yarn balls wreath. It is so warm and inviting. Thanks for hosting this week’s sharing of scoops. It’s windy & rainy here today, so a good day to take my time over all the link ups. How is your foot healing, Yvonne? 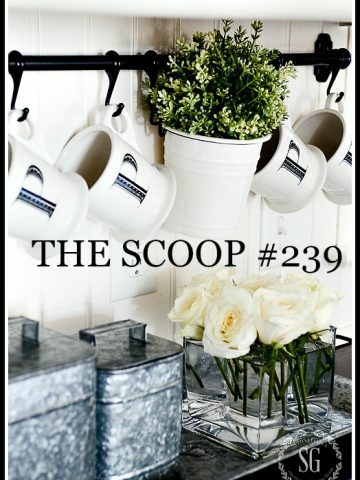 Love the Scoop always so many great ideas. Wow! I can do the wreath because I have MANY balls of yarn! Clever and cute! Love all your ideas, but the yarnball winter wreath is so great & easy. 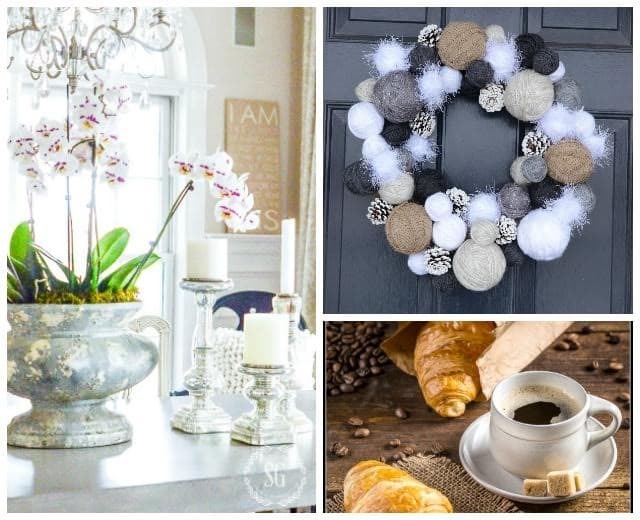 I especially like the “fuzzy balls” which add such a wonderful different texture and help create that cozy winter feeling! 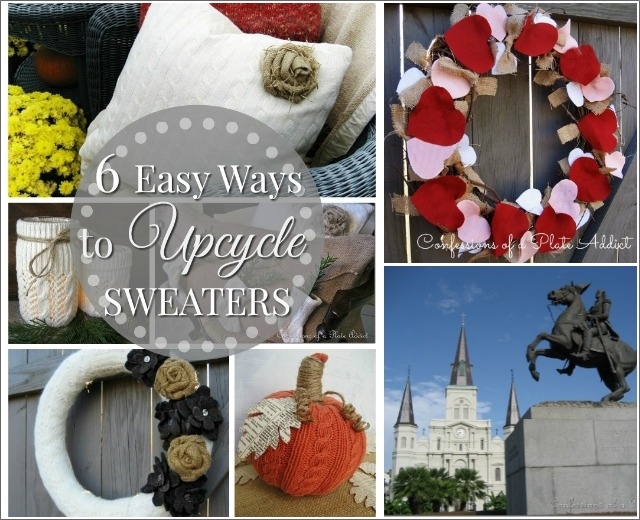 I really love yours and Suzy’s winter ideas! So cozy! 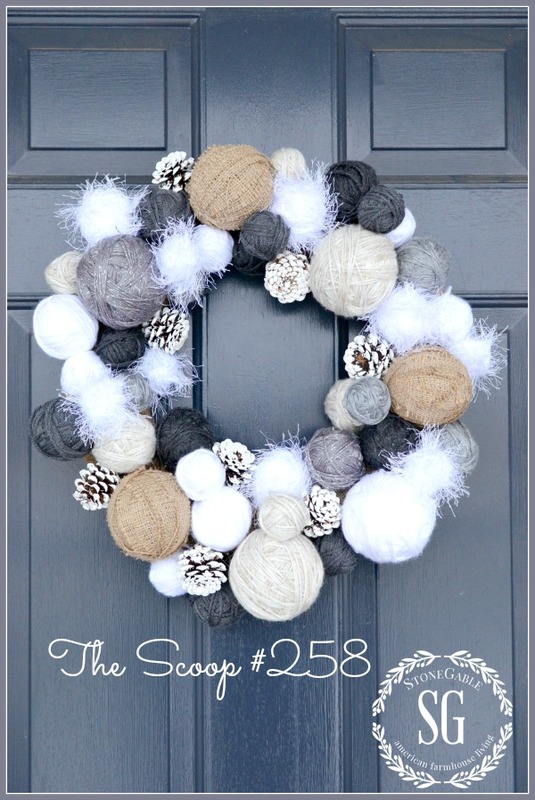 Love the yarn ball wreath! Wish I had a single door and not doubles. Great ideas! Time to get creating. 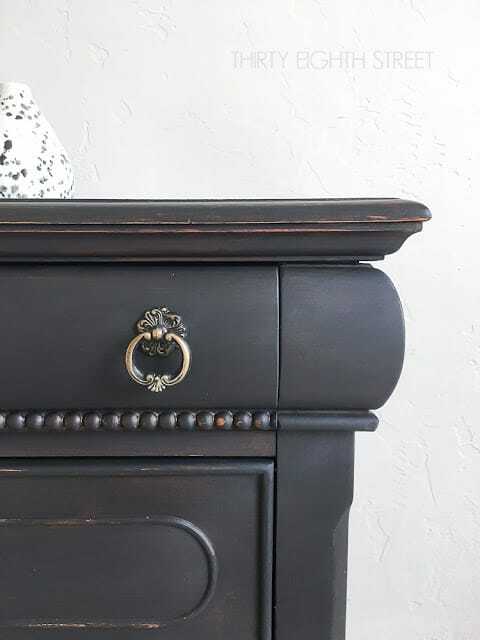 Beautiful blog! I love all the featured articles. Such great ideas! 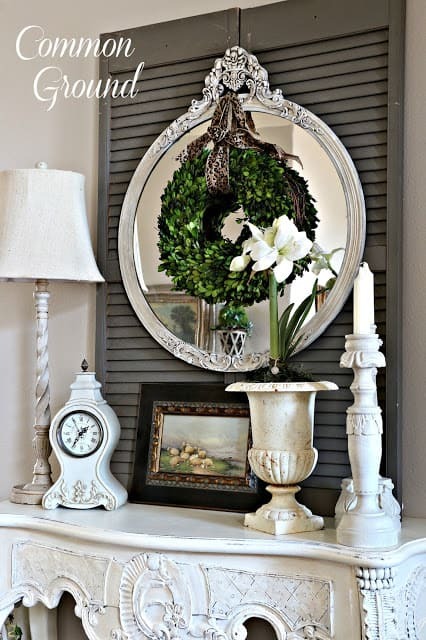 I’m going to try out that wreath diy – so cute!! Wishing for just a bit of winter here where our temps in the 70’s have me wanting to work in the garden!!! 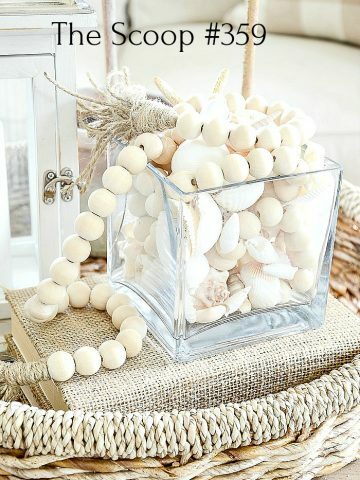 Your cheerful winter decorating ideas ? are so welcome, tho, in any climate! So many wonderful ideas! Thanks for hosting! Great ideas and thanks for hosting. I love to look at everything and get inspired. Thank you so much for hosting this party! It’s always a wonderful place to come and get inspired! Beautiful features this week. Thanks for hosting. So enjoy these blogs. I did one yarn wreath last year and now have two more to try. Thanks. 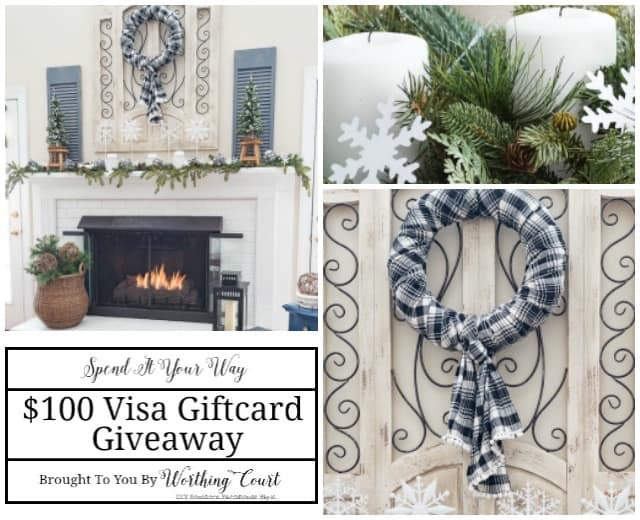 I love all of the winter wreath ideas. I’ve always had trouble with coming up with a good idea for wreaths after Christmas and before Spring. Thank you for the opportunity for another giveaway this month Yvonne! I love your ideas! So inspirational! Link parties are the best part of my week!! So many beautiful ideas! Have a blessed week. I love your link parties! Thank you for hosting! So much inspiration! 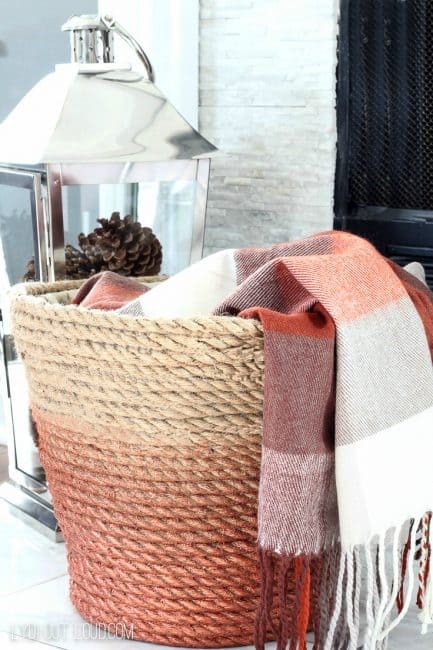 Thanks for hosting and thank you so much for featuring my basket! So many great ideas – thanks for the party. Doing the happy dance over you featuring my art work tutorial. Thank you so much!!! Always my favorite link party. Thanks for hosting! I love all the features!! Thanks for hosting, Yvonne! Been praying for you my friend! Wow, everything is so beautiful. Enjoyable to look at and even though isn’t exactly cold here, it livens up a dreary winter’s day!